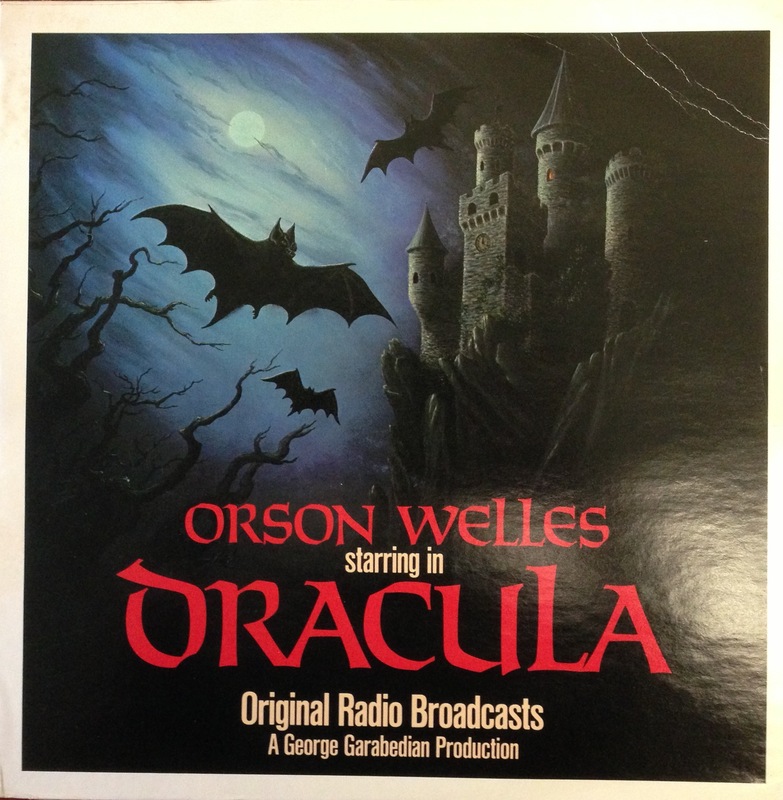 Sound Bites: Vampire Media in Orson Welles’s Dracula | Sounding Out! Welcome back to our continuing series on Orson Welles and his career in radio, prompted by the upcoming 75th anniversary of his 1938 Invasion from Mars episode and the Mercury Theater series that produced it. To help us hear Welles’s rich radio plays in new and more complicated ways, our series brings recent sound studies thought to bear on the puzzle of Mercury‘s audiocraft. From Mercury to Mars is a joint venture with the Antenna media blog at the University of Wisconsin, and will continue into the new year. If you missed them, check out the first installment on SO! 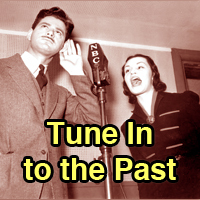 (Tom McEnaney on Welles and Latin America) and the second on Antenna (Nora Patterson on “War of the Worlds” as residual radio). It’s a good thing that our guide is University of South Carolina Associate Professor and SO! newcomer Debra Rae Cohen. Cohen is a former rock critic, an editor of the essential text on radio modernism, and has also recently written a fascinating essay on the BBC publication The Listener, among other distinguished critical works on modernism. Below you’ll find the most detailed close reading of Welles’s “Dracula” (and of Welles as himself a kind of Dracula) ever done. Didn’t even know Welles ever played Count Dracula? 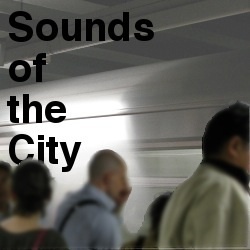 That’s just the first of many surprises you’ll discover thanks to Debra Rae’s keen listening. It’s one of the best-known anecdotes of the Mercury Theater: Orson Welles bursts into the apartment where producer John Houseman is holed up cut-and-pasting a script for Treasure Island, the planned debut production, and announces, only a week before airing, that Dracula will take its place. At a time when Lilith’s blood-drenched handmaidens on the current season of True Blood serve as an analogue for our own cultural oversaturation with vampires, it’s worth recalling why, in 1938, this substitution might have been more than merely the indulgence of Welles’s penchant for what Paul Heyer calls “gnomic unpredictability” (The Medium and the Magician, 52). 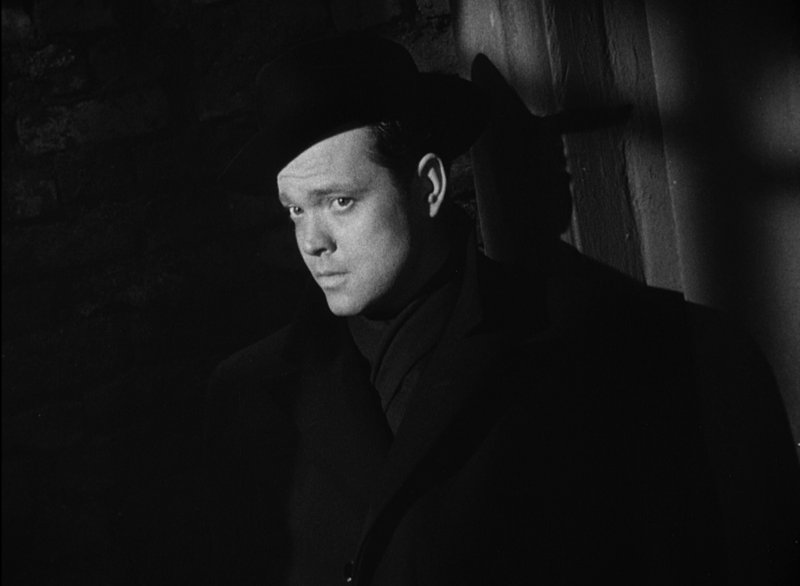 But more importantly, Welles’s production reclaimed and exploited the novel’s own media-consciousness, a feature occluded in the play and film versions, and one to which the adaptation into radio adds, as it were, additional bite. 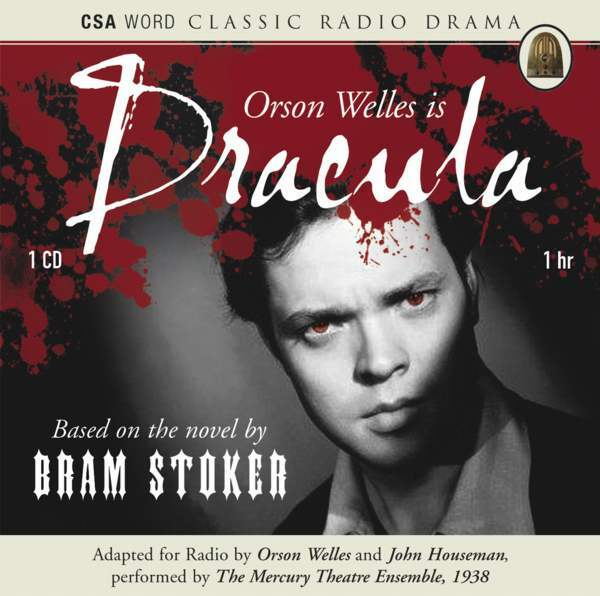 Dracula introduced several of the radio innovations we’ve come to associate with the Mercury Theater (and The War of the Worlds in particular)—first-person retrospective narration, temporal coding, the strategic use of media reflexivity—but Stoker’s novel may have made such innovations both alluring and inevitable. Stoker’s Dracula is made up of a patchwork of documents—shorthand diaries, transcribed dictation cylinders, newspaper clippings—that do not simply serve as a legitimizing frame, as in Frankenstein. Instead, they are deeply self-referential, obsessively chronicling the very processes of inscription and translation between media by which the novel is built. Confronted with the terrible threat of Dracula free to prey on London’s “teeming millions,” Mina Harker vows thus: “There may be a solemn duty, and if it come we must not shrink from it. …I shall get my typewriter this very hour and begin transcribing.” Processes of ordering information serve, as critics since Friedrich Kittler have noted (see for example here, here, and especially here), as the way to combat the symbolic threat of vampirism that, as Jennifer Wicke argues, stands in for “the uncanny procedures of modern life,” and a threat that may have already colonized intimate spaces of the text itself (“Vampiric Typewriting,” 473). That threat, in the novel, sounds oddly like . . . radio. Seeping intangibly through the cracks of door frames, invading domestic spaces, riding through the ether “as elemental dust,” materializing abruptly in intimate settings, communicating across land and sea while rendering his receiver passively malleable, Stoker’s Dracula is terrifying by virtue of his insidious ubiquity, a kind of broadcast technology avant la lettre. A 1931 Grosset & Dunlap edition of Dracula, with images from Browning’s film. 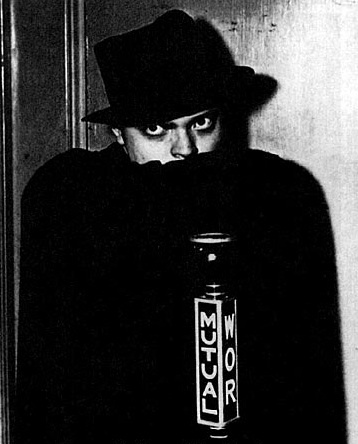 In adapting Dracula for radio, then, Welles could play on the deep division in the novel between the ordered forces of inscription and the Count’s occult, uncanny transmissive force in order to exploit the anxieties connected with the medium itself. Even the double role Welles plays in the production—both Dracula and the doctor Arthur Seward—functions in this regard as more than bravura. Without the didactic authority of Van Helsing and with small claim on audience sympathy, Seward becomes, through the second half of the production, a strangely insecure advocate, whose claim on authentic first person experience often disrupts, rather than augments, his role as presenter. The listener does not consistently “follow” Seward either narratively or sonically—indeed, he is often displaced to the sonic periphery by Dr. Van Helsing. In the final confrontation with Dracula, Seward is explicitly shooed to the outer margins of the soundscape to pray. Here the technical exigencies of Welles’s double role support a subtext that his unmistakable voice has already suggested: that Seward is here the “other” to Dracula (as, later, his Kurtz would be to his Marlow), waning as he waxes. As Lucy is weakened through Dracula’s occult ministrations, so too is Seward sapped of vitality, his romantic passages voiced as strangely bloodless, while Dracula’s wring from Lucy an orgasmic sonic response. Penetrating the intimate chamber Seward ineffectively desires to protect, Dracula replaces him as the production’s central sonic presence—who even when silent, possesses the sonic space. Welles needed to distinguish his Dracula from Lugosi’s, employing, rather than an accent, a kind of sonorous unplaced otherness. But his performance shares the ponderous spacing of syllables that, in Lugosi’s case, derived from phonetic memorization of his English script; in other words, Welles is “recognizable” as Dracula without “playing” him. As an analogue to Lugosi’s glacial movement, Dracula’s voice is here surrounded by depths of silence in an otherwise effect-busy soundscape. 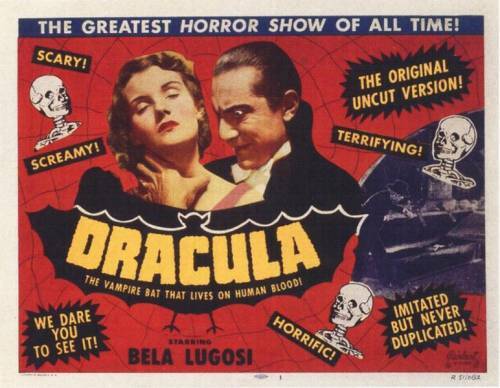 The closely-miked phrase “blood of my blood” is reprised throughout the second half of the production—it is repeated seven times, by both Dracula and Mina (Agnes Moorhead), though it occurs only once in the novel—underscoring the ineffable aurality of Dracula’s “transmission.” The line doesn’t present as meaning, but as a tidal echo, the pulse of a carrier wave. While it signals an action unrepresentable to the ear—Dracula’s literal bite or its resonances of memory and desire—it also functions as a “signal” in the sense that Verma describes, as a repetitive element that compels listenership like an incantation (Theater of the Mind, 106). This is the power against which the “documents” are marshaled, the power of “pure” radio—ironically the very power that allows them to be shared. 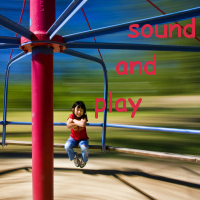 And the hypnotic thrum of radio rips them to shreds. But with the hypnotic reach of radio at your disposal, who needs them?